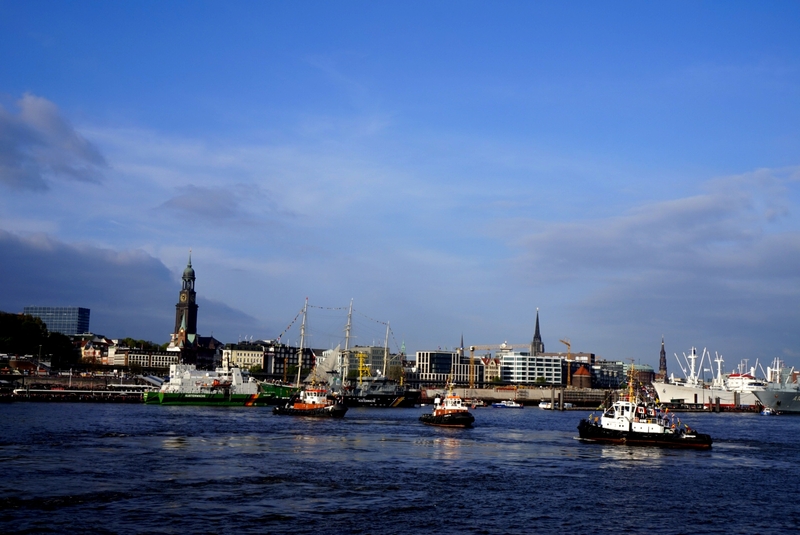 Last weekend there were a lot of festivities in Hamburg celebrating the Harbour Birthday also known as the Hamburger Hafensgeburtstag! It began in 1189, that’s already 828 years!! Although the real festivities have started in 1977. 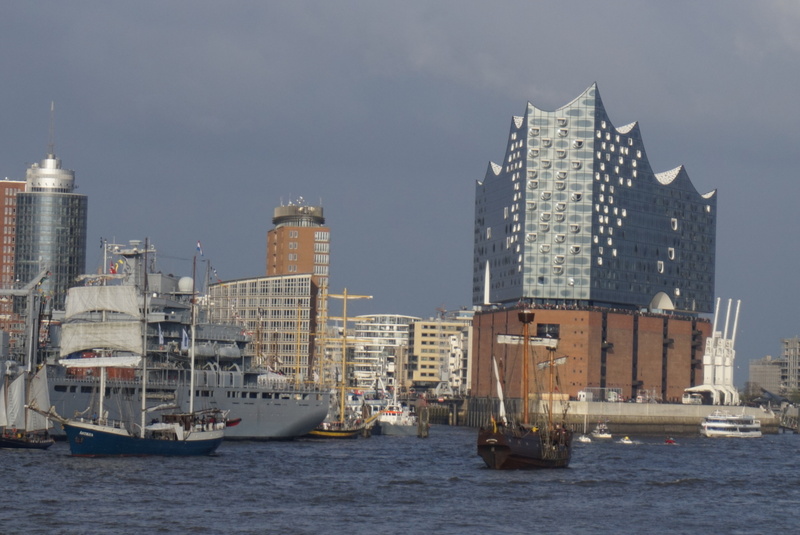 The Elbphilharmonie and various types of vessels. In today’s post I want to briefly share with you my first time experiencing the biggest harbour event in the world, which took place from 5th to 7th May. I went only to the highlights on the 6th and 7th May. Hamburg’s St. Pauli quarter at the Landungsbrücken. Last Saturday I arrived in Hamburg in the late afternoon after spending 3 nights in Berlin. After arriving in Hamburg I quickly met up with a friend and we went to St.Pauli. It was so crowded that we decided to keep moving forward until we realised it was way too crowded in this area. 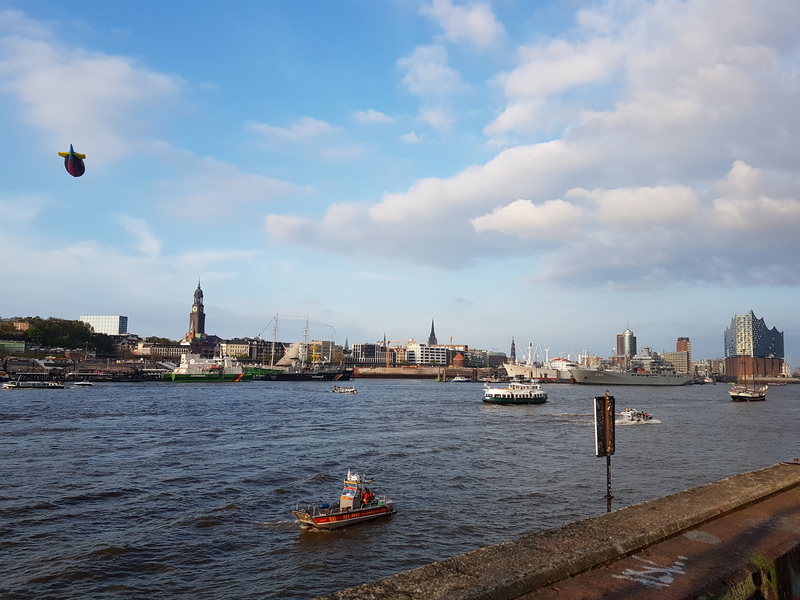 Therefore we went through the St. Pauli Elbtunnel to the viewpoint of Steinwerder, and saw the tugboats preform “balletdances” or Schlepperballett, which was a beautiful spectacle with classical music. 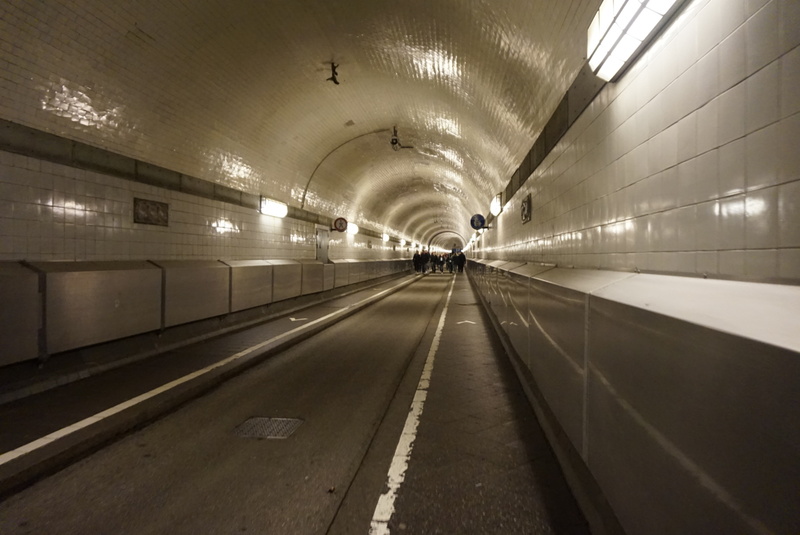 My first time in the St. Pauli Elbtunnel. A view of the Norderelbe, you can even see a Zeppelin in the sky! After having dinner we went to a bridge at the Binnenhafen to enjoy the highlight of the evening, which was the AIDA Fireworks Show. This lasted about 15 minutes. 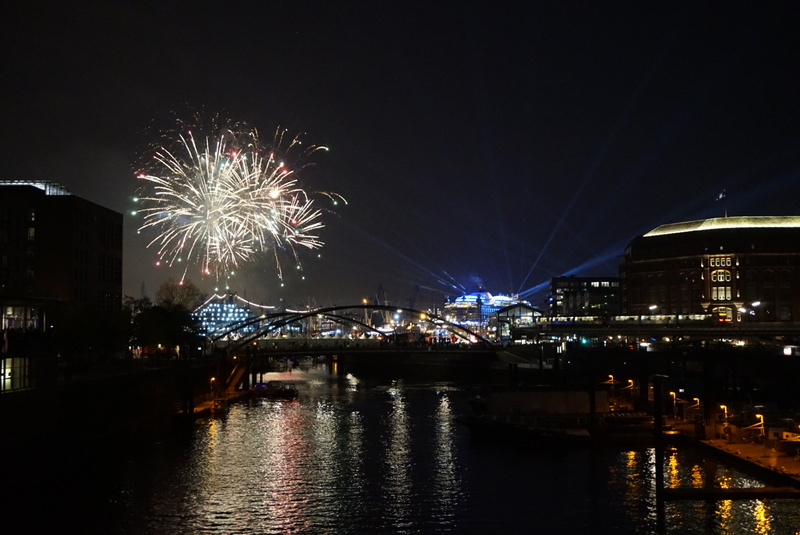 The AIDA Fireworks Show from the Binnenhafen. On Sunday afternoon I met up with other friends and we decided to have a walk to Elbphilharmonie. Since there wasn’t a long queue for the visitors, we decided to go in and enjoy the finale of the program from the balconies, which was the Grand Departure Parade or Große Auslaufparade. 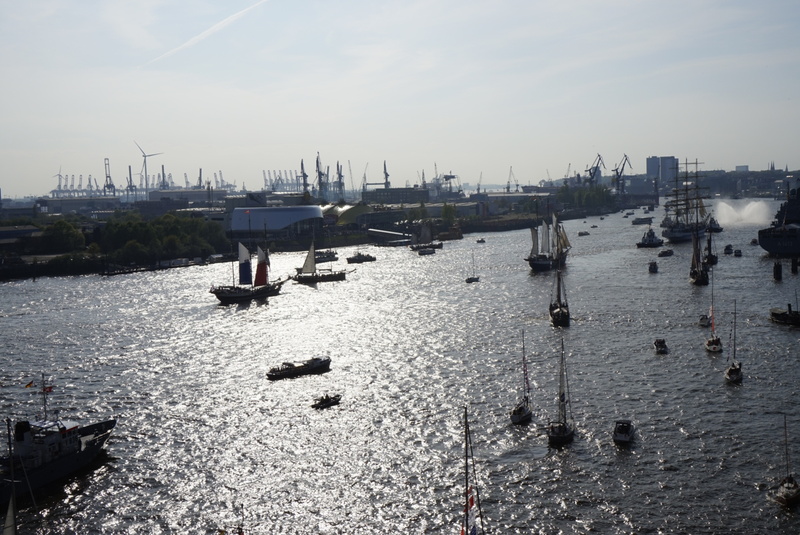 We were able to find a nice spot and see how the vessels did their final passage and sailed out of the River Elbe towards the North Sea. 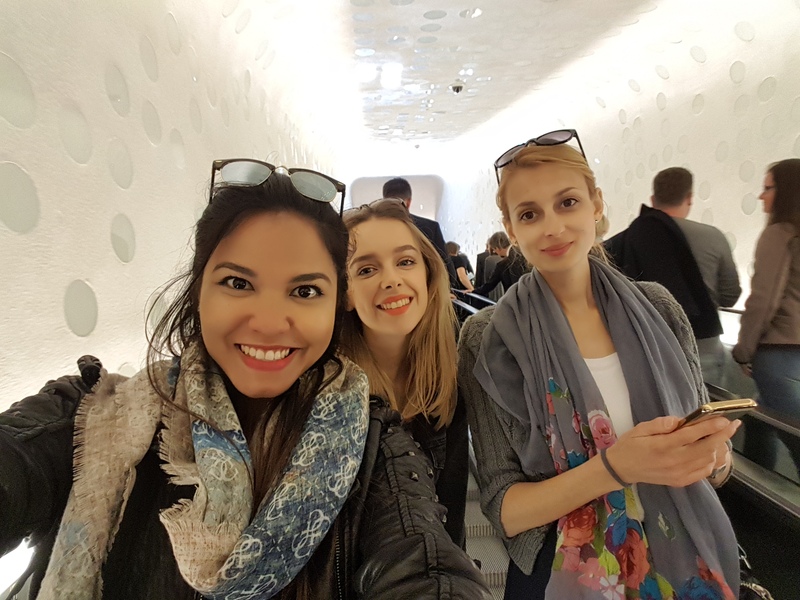 Selfie with my some of my friends in the elevator of the Elbphilharmonie. 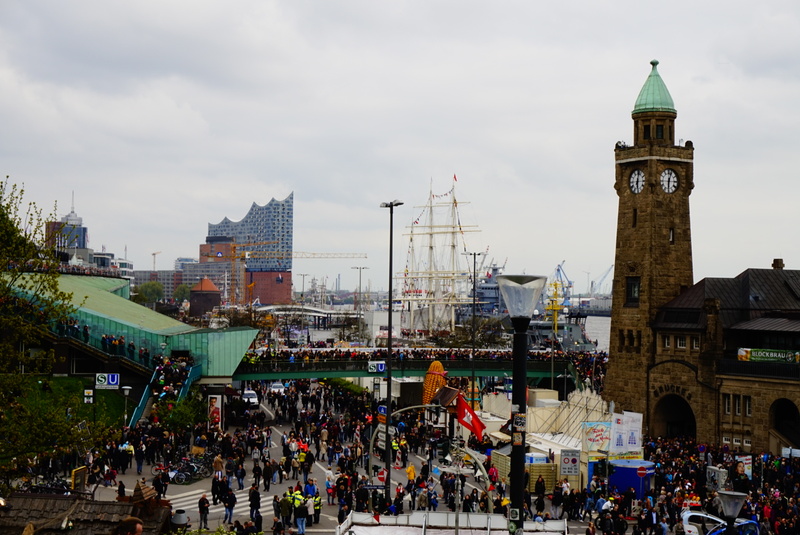 The Große Auslaufparade from the Elbphilharmonie. After having seen this parade we headed towards St.Pauli to have a bite to eat at the stands. It was definitely less crowded than Saturday. 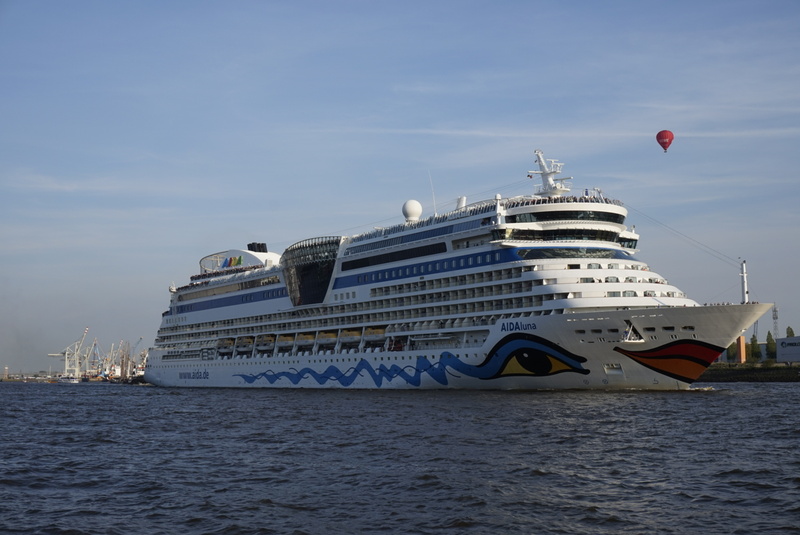 Moreover when we went to the Docks we spotted an AIDAluna (cruise ship) departing as well. In the background we heard the popular Hamburger music playing “In Hamburg sagt Man Tschüss,” meaning in Hamburg they say “Tschüss” or goodbye. All in all, looking back at the spectacles that I’ve witnessed I can understand why millions of people visit the biggest event in Hamburg. There were many onlookers, but also passengers on different types of vessels from various builds and flags. I really enjoyed it a lot and the ambience was very jolly. Especially hearing an old man singing “my bunny is over the ocean…” does have a way of putting a smile on one’s face. This is probably one of the shortest post that I ever did! But I truly hope I provided you with a glimpse of this event with the photos that I’ve taken. P.S: my blog post on my trip to Berlin will follow soon!